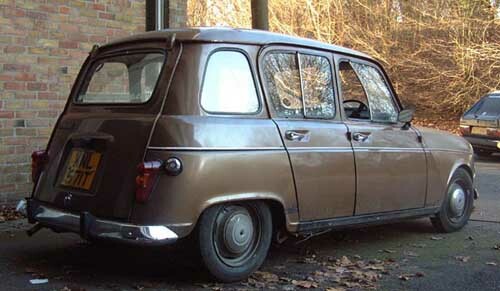 Now, imagine a car that looks like a toaster, and has the performance of a 23 year old hoover. 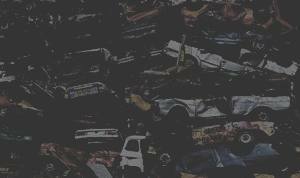 Imagine metallic brown paint, dents everywhere, and a healthy splattering of rust. Imagine a beige interior and a guaranteed wet right foot if it's raining. 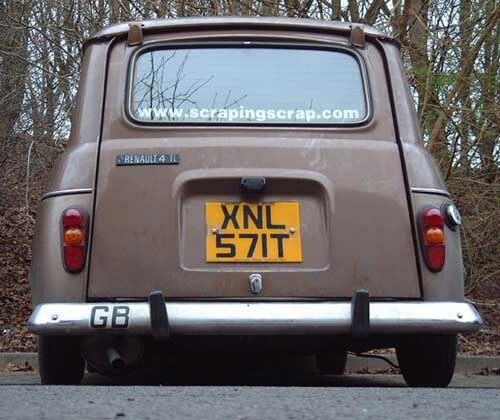 Yes, we are afraid Scraping Scrap now has a '79 Renault 4 in stock. It took us three days to get the height correct (lowered 3" up front and about 5" to the rear). Its brown, its low, its rusty, and its brown. This is the perfect definition of a ScrapingScrap motor. 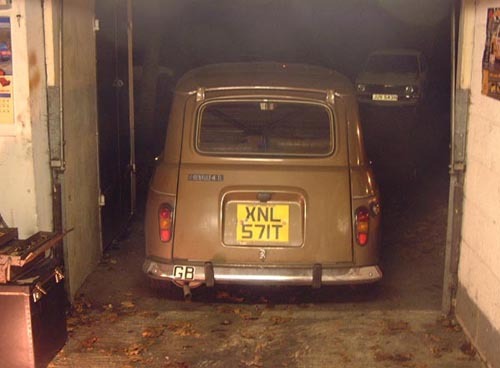 Taxed, MOT'ed and insured. Unfortunately, it also snapped. 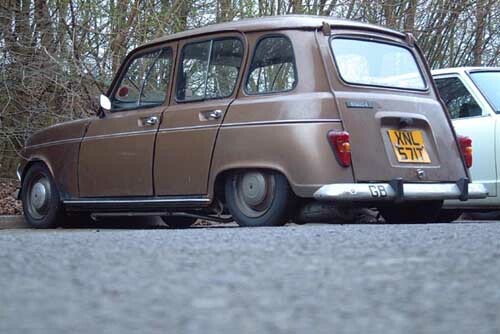 Must get round to welding the bugger back together as its such a comedy car to drive. Plans this autumn/winter are for a radical roof chop. We've worked out that the roof will go down 6 inches and still leave a 7 inch high windscreen. Haven't decided whether to pick-up it yet or leave it as an estate, but whatever happens, it'll be suitably silly. And brown. Click here to see what is now happening to it.